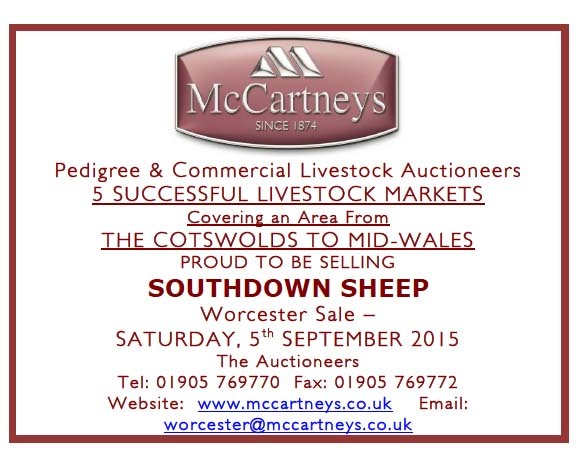 The final official Southdown Sheep Society Show & Sale of the year took place at Melton Mowbray Market as part of the Traditional Native Breeds Show & Sale on September 9th-10th. A good number of breeders, both new and established, ensured that bidding was brisk and interest was high. 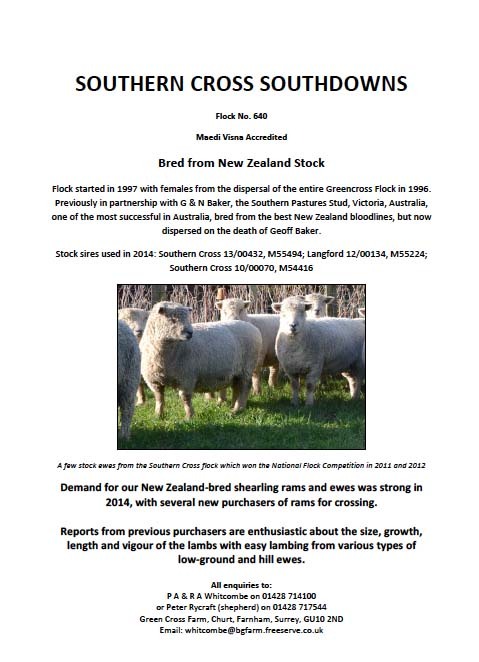 Trade for all females was excellent: aged ewes, shearling ewes and ewe lambs all sold and competition was keen with breeders determined to take home females from the last of the season’s sales. 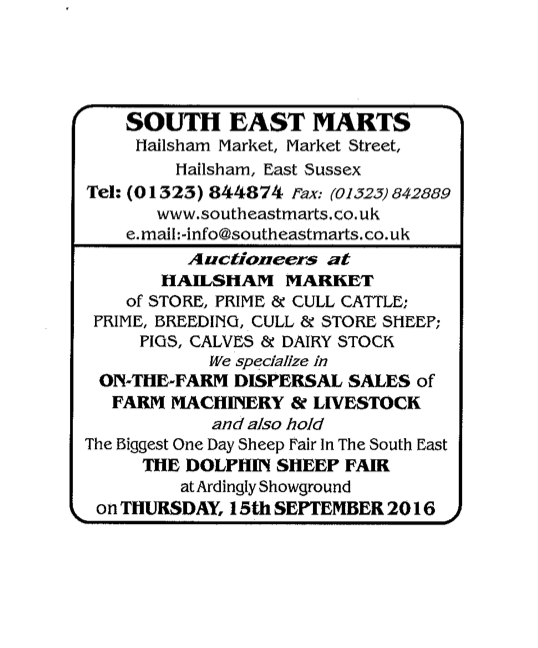 Taking top price of the day was a shearling ewe from Mrs Alison Allen from Norfolk. Marshland 15/00344 was sired by Goodwood Bentley 12/01382, out of a homebred Marshland ewe, and sold for 400gns to G Hill of Tamworth, Staffs. Mrs Allen’s large entry saw a total clearance following a brisk trade. Judge Neil Stainthorpe awarded the Reserve Champion rosette to a shearling ram bred by Mrs Sophie Arlott, Montecristo 15/15081. This ram was sired by Ridings 13/01453, and was out of a homebred ewe. He was sold for 370gns to H Wilson of Stamford, Lincs. 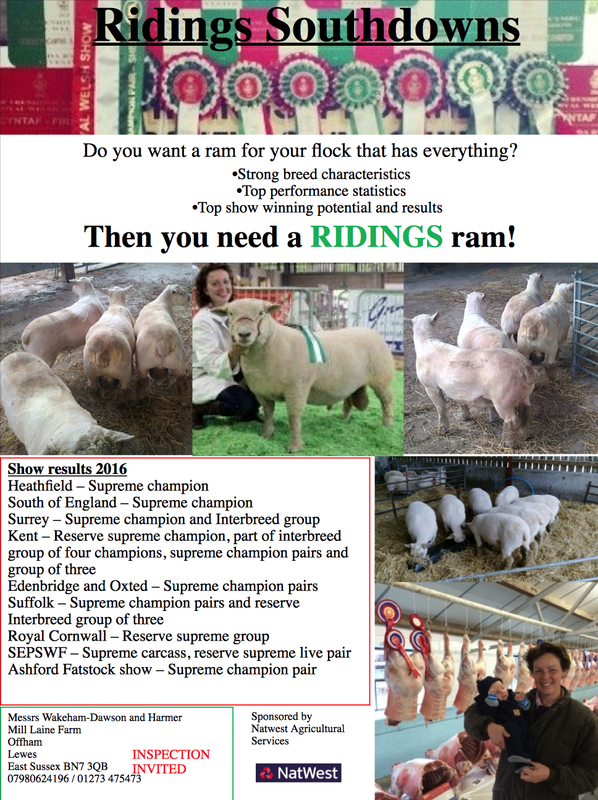 Regular vendor and buyer Mrs Loraine Clements also returned home with an empty trailer, having achieved top price for an aged ram Wigginton Freddie 12/00019, bred by Gay Hargreaves Jones. This four year old ram, sired by East Dean Hector 05/0297, and out of Buckland Dolly 04/0004, was sold for 360gns and headed home to join the Caer Owen flock of Lynne Rowlands. 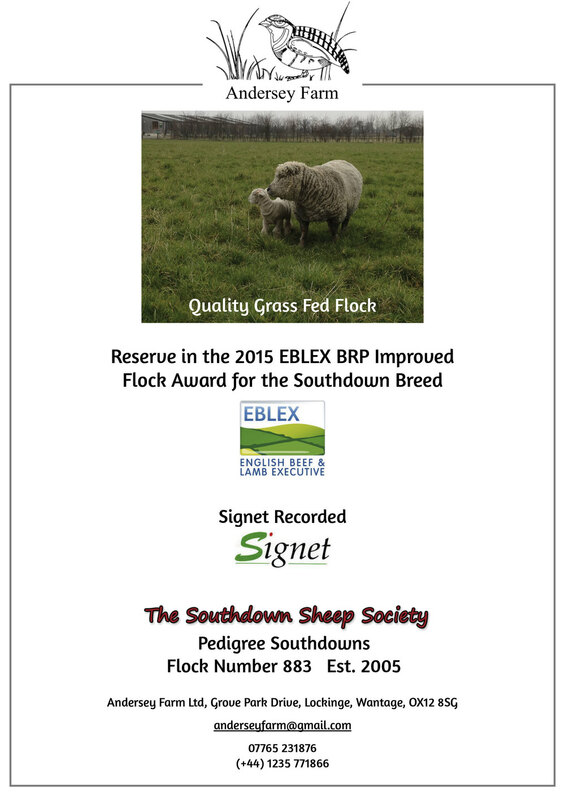 Champion in the pre-sale show was a shearling ewe from the East Dean flock of D S & P Humphrey, East Dean 15/02359, sired by a home bred tup, East Dean 14/01744, and out of a home bred ewe. 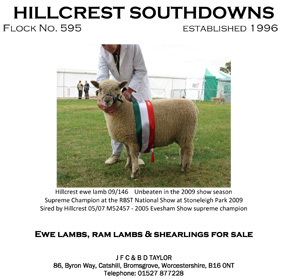 This ewe was purchased by Mrs Loraine Clements for 350gns. Ewe lambs were much in demand. 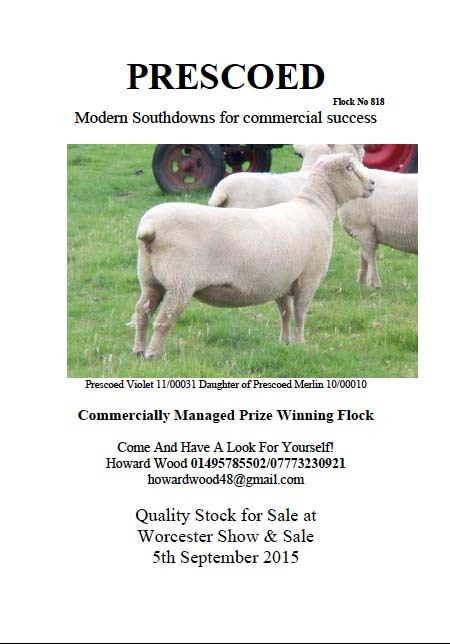 Taking first prize in the pre-sale competition was a ewe lamb from D S & P Humphrey, East Dean 16/02887, sired by Montecristo 15/15088, out of an Ashmole ewe, which sold to new member Debbie Geary, Olney, Bucks, for the top ewe lamb price of 160 guineas. 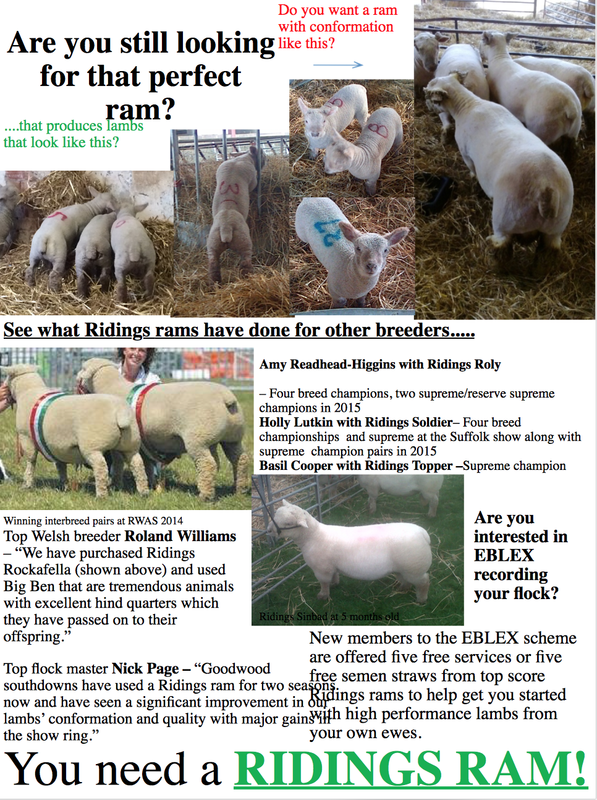 Buyers were selective when it came to the ram lambs on offer. 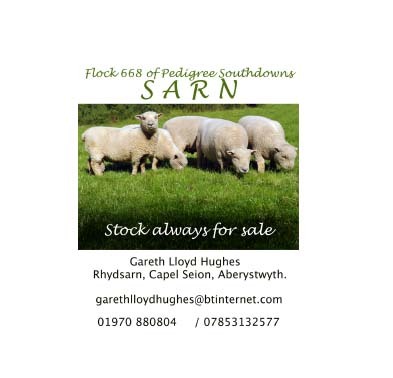 Top price was paid for the first prize winner, Caer Owen 16/00020, from Lynne Rowlands of Anglesey, which then headed back home to Wales with Dylan Williams of Cilau Aeron, Ceredigeon. 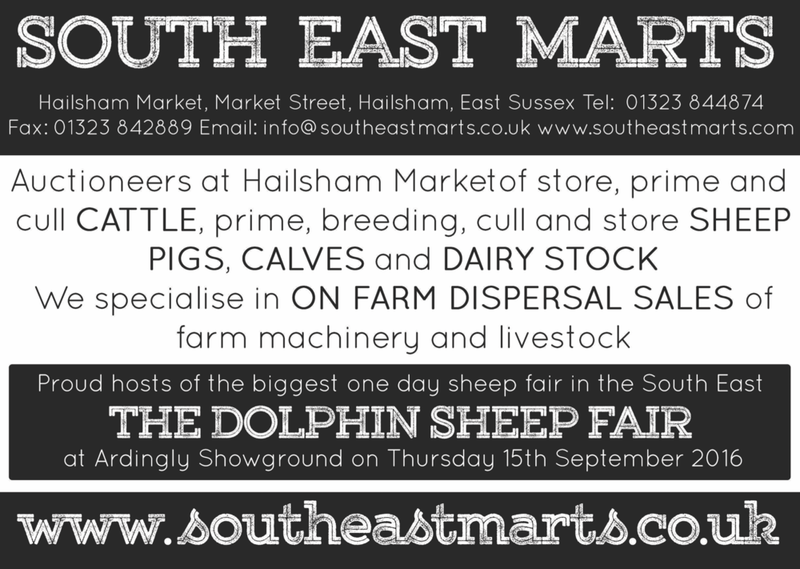 Buyers at the Southdown Sheep Society’s opening sale of the season at Ashford were cautious in the spending, but bid well for the best of the stock on offer, with quality in demand. Heading up the trade at 400gns was the pre-sale champion, a shearling ram from the Goodwood flock under the management of Nick Page. This was Goodwood 15/05201, a son of Ridings 11/00701 out of a homebred dam. He was knocked down to the Mannering family, Bethersden. 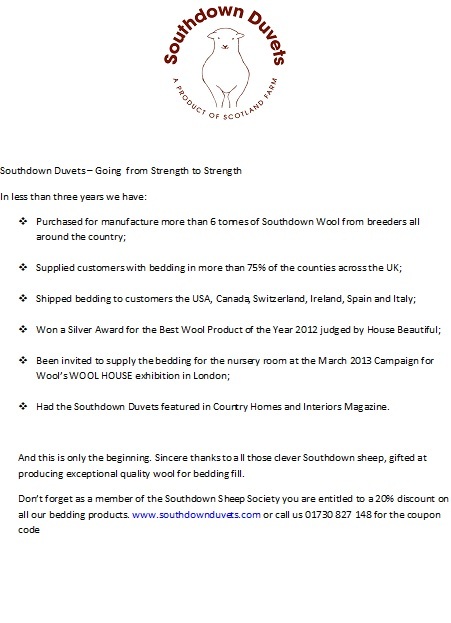 Then making the same money were a pair of shearling ewes from the Wakeham Dawson and Harmer’s Ridings flock. The first of these was Ridings 15/03058, a daughter of East Dean 11/00448 and out of a homebred dam. She sold to Megan Chilcott, Somersett. The same buyer took the second Ridings shearling at this price, with this one being Ridings 15/03056, a daughter of the homebred Ridings 11/00701 out of an imported French dam. 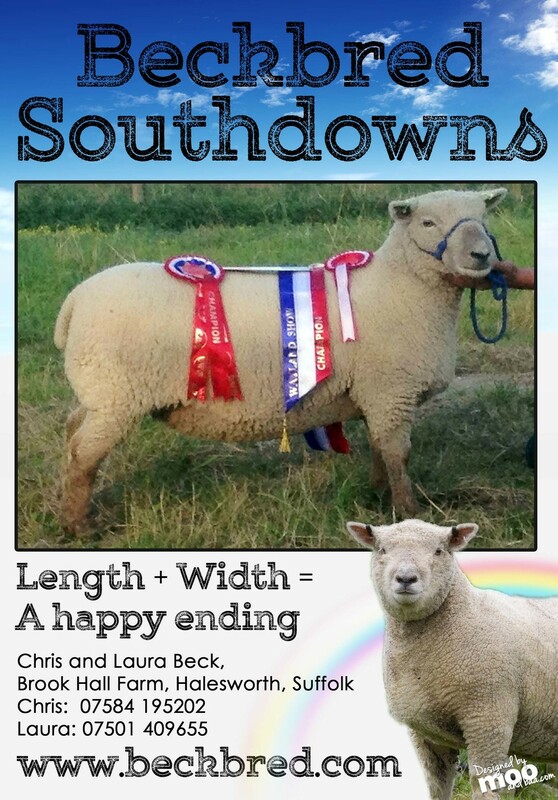 Then selling at 360gns was a Goodwood shearling ewe by a Southern Cross sire and out of a homebred dam. 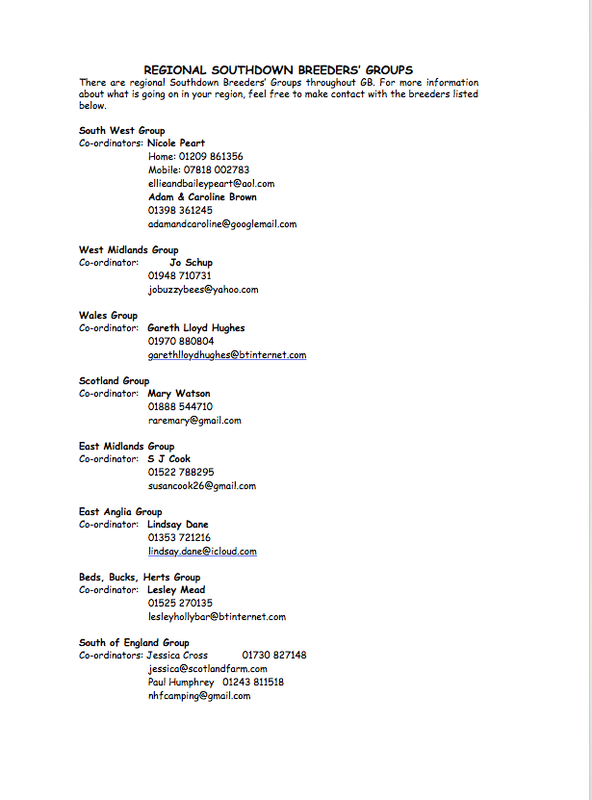 She sold to Nigel Barrington-Fuller, Clacton On Sea. And at 350gns was another gimmer from the same home and this time by Ladywell 12/00095. 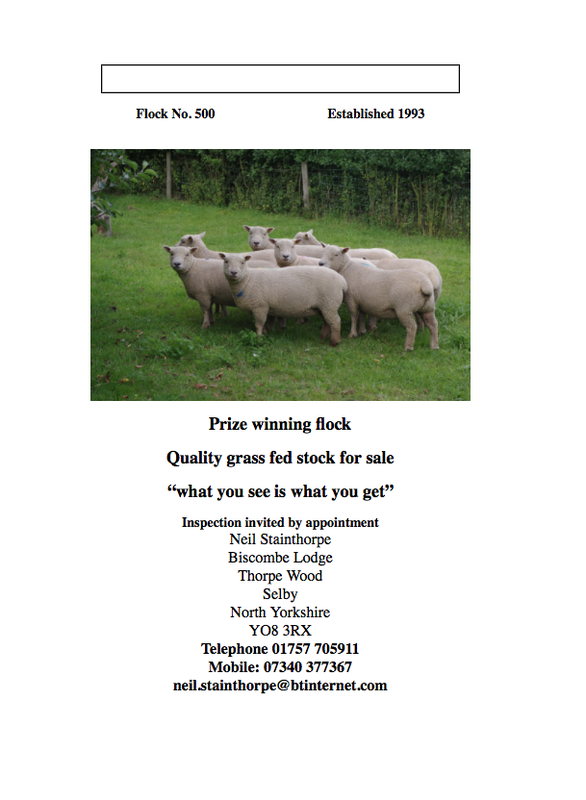 She is out of a homebred dam and sold to Messrs Sparke, Hertfordshire. 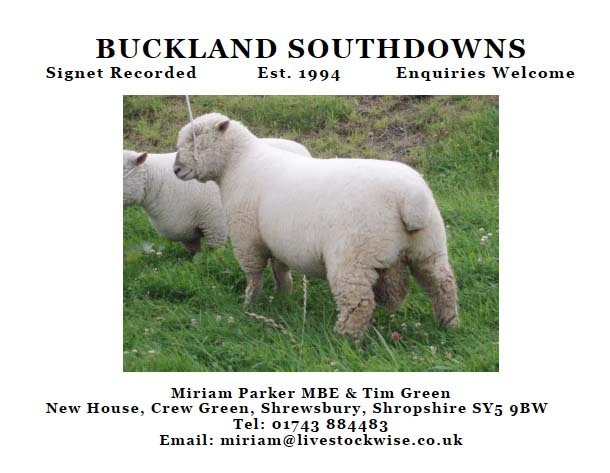 A pair then sold at 330gns, with the first being another of the Goodwood shearling rams, Goodwood 15/07391. 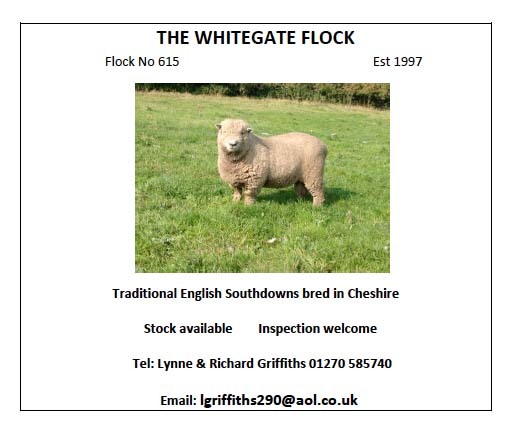 Again by Ridings 11/00701, this one is out of a homebred dam again and sold to Messrs O’Kane, Hothfield. The other at this level was another Ridings shearling ewe, Ridings 15/03064, another by the Ridings 11/00701 sire and out of an imported French dam. This one also headed to Somerset with Megan Chilcott. 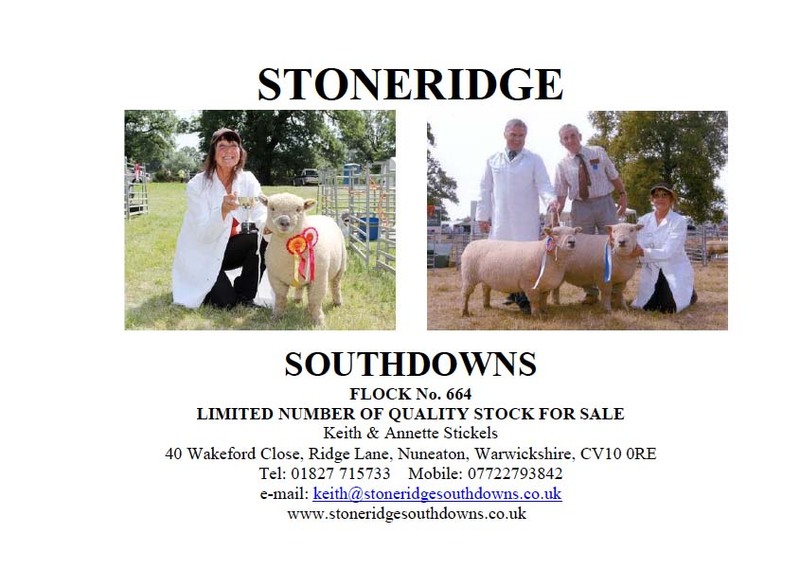 Three then found new homes at 300gns, with the first being the female and reserve overall champion, a ewe lamb from the Long family’s Chaileybrook flock. This was Chaileybrook 16/0022, a daughter of the homebred Chaileybrook 13/0001 and out of a homebred dam. 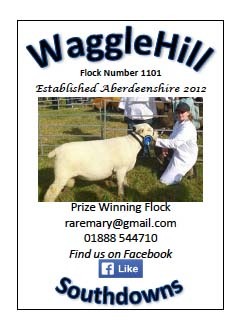 She was bought by Celeste and Florence McKeague, Ayrshire. 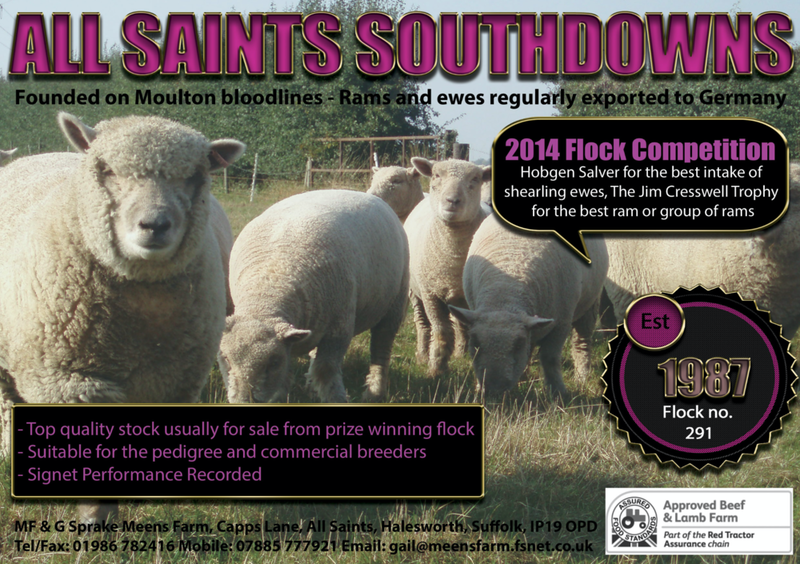 The next two at this price were shearling ewes from the Ridings flock, Ridings 15/15/03146 and Ridings 15/03140, with the former being by an imported French sire and the latter by an East Dean sire. Both of these were aslo bought by Megan Chilcott. Selling at 280gns was Southern Cross 15/00649 from Messrs Whitcombe. 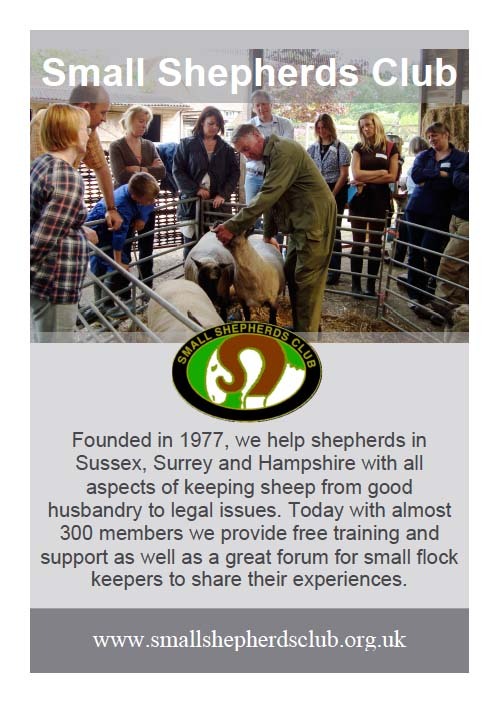 This shearling ram is by Langford 12/00134 and out of a homebred dam and sold to Anne-Marie and Peter Payne, Hertfordshire. Wrapping things up at 275gns was the reserve male champion and leading ram lamb of the day, Chaileybrook 16/0002 from the Long family. Sired by the imported sire TC10187, he is out of a homebred dam and sold to Ray Edwards, Devon. 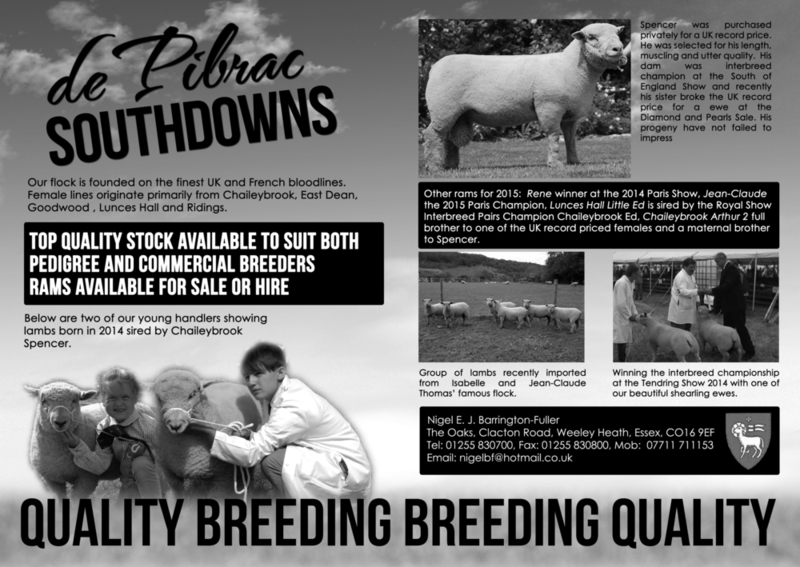 The Diamonds and Pearls 60th and 30th anniversary sale of Southdown females for the Long family’s and Sid Cook’s Chaileybrook and Brant flocks, respectively, saw a flying trade, with a new female breed record set twice at 1200gns and a new ewe lamb record also set at 1050gns. Females were the pick of the trade at the second Southdown Sheep Society sale of the season, with shearling ewes peaking at 490gns for one from Michael and Gail Sprake’s All Saints flock.